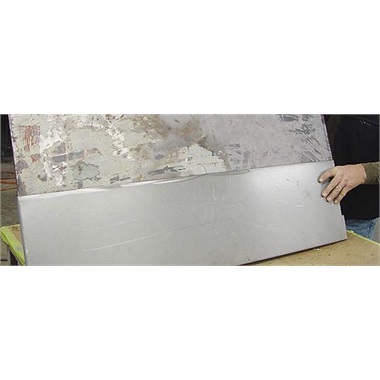 Electrozinc-finish panels resist rust and corrosion while providing excellent adhesion for primers and paints. Use panels for repairing fenders, doors, trunks, hoods, floor boards, and more. Economy panels have rounded corners and plasma-cut edge which will require deburring. These smaller pieces of metal are great. They come very well packaged and are cut clean and straight. Perfect when you don't need a large piece of metal for a repair.